Canada Inline is pleased to welcome Fred Corbeil to the association in the role of Head Coach for the Men’s, Jr Men’s, Master and Veterans National Teams, competing at the World Championships this year. 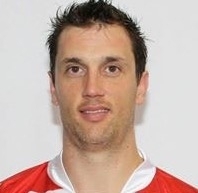 Corbeil has over 17 years of experience in the sport both in North America and Europe, and after spending the past 10 years with the National Team as a player, Corbeil looks forward to being on the other side of the bench. “This is a very important day for me. I am honoured and thankful for this op portunity. It is a new challenge for me and I am ready for it. I look forward to working with the Canada Inline staff and its players to work hard and battle to bring home GOLD”, said Corbeil. 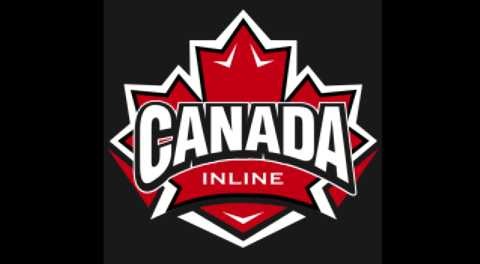 Canada Inline President and former Men’s National Team Coach, Ben Frank decided that it was time for Canada Inline to embark on a makeover and ensure continuity with its Jr and Sr programs by having the same Head Coach for both teams. With Fred’s playing resume and experience coaching inline in France, it only made sense that he was the perfect candidate for the Men’s side of things. On the Women’s side, Senior Women’s Head Coach Dave Hammond will also serve as the Head Coach of the Jr Women’s Team. Hammond, known globally in the sport, has one of the most extensive resumes of anyone in the world when it comes to inline hockey . 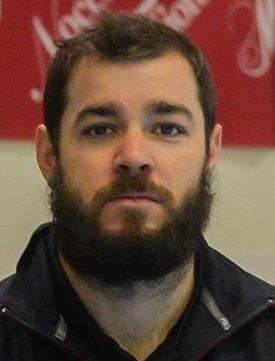 Having played in 19 World Championships (FIRS & IIHF World Championships and World Games thus far in his career, Hammond has 4 bronze medals, 3 silver medals and 3 gold medals, along with numerous point records. Dave has 14 years of experience coaching, from development levels through each and every age group, including Masters. Hammond has spent time coaching all over the world (USA, Canada, Italy, France, Spain, New Zealand, and Namibia). Hammond joined the Canadian Women’s Sr Team staff in 2014 and took over as Head Coach in 2016, leading squad to a gold medal. President Ben Frank is excited that Hammond bought into the plan of ensuring continuity of its Jr and Sr programs and agreed to take on the Jr Women’s Team. “I am so grateful for the opportunities Canada Inline has given me and for the friends I have made all over the world through this great sport. I look forward to the challenges ahead of us and I hope to give back to the sport that has given me so much already,” said Hammond. Information regarding these teams and their tryouts, along with the entire 2018 Tournament schedule for Canada Inline will be posted in the next couple of weeks.